R - for bloody violence, some sexual content and brief strong language. When her heart is stolen by a seductive stranger, a young woman is swept away to a house atop a mountain of blood-red clay—a place filled with secrets that will haunt her forever. Between desire and darkness, between mystery and madness, lies the truth behind Crimson Peak. 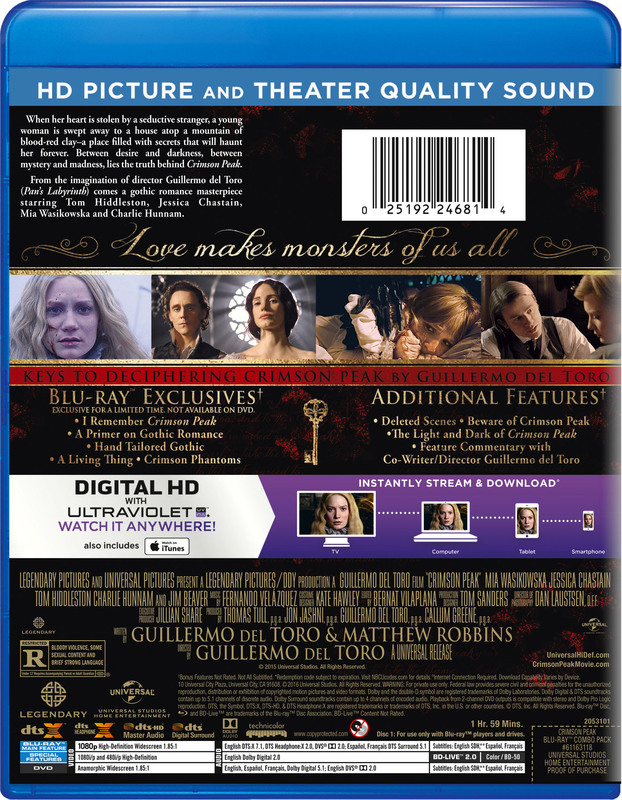 From the imagination of director Guillermo del Toro (Pan’s Labyrinth) comes a gothic romance masterpiece starring Tom Hiddleston, Jessica Chastain, Mia Wasikowska and Charlie Hunnam.